Vibrational healing is nothing new. It has been successfully practiced in numerous forms all over the world for thousands of years. 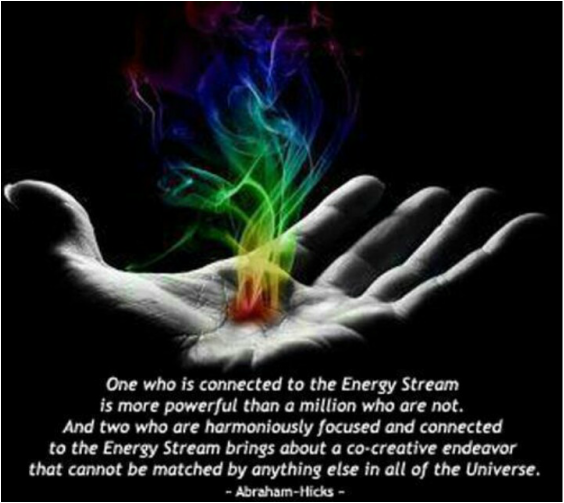 Everything in the universe is energy. Nothing is actually solid. Objects are made up of microscopic particles vibrating at such a fast rate that they appear solid. Every object, including human organs, has a natural healthy vibratory rate referred to as "resonance". If a part of the body begins to vibrate out of resonance, or harmony, it creates what we term dis-ease. If parts of the body become imbalanced, they may be healed through projecting the correct frequencies back into the body. Research results indicate that negative emotions such as anger or fear cause the frequency of the body to decrease, whereas feelings of love, joy and laughter cause the frequency of the body to increase. Always try to have a positive outlook and enjoy life as much as possible! Vibrational Medicine looks at the energy anatomy within and around the physical body. Imbalances and disharmonies can be treated using frequencies from: flower and gem essences, sound, therapeutic grade essential oils, homeopathy, acupuncture, colour, crystals and hands-on healing. Each individual sound, colour, crystal or flower essence has a specific frequency that is beneficial for a particular human organ, system, or emotion. Part of the intense interest in the field of vibrational medicine is the knowledge that disharmony shows up in the energy field (the aura) before it becomes a problem in the body. If imbalances can be detected and restored to balance while still in the energy field, then theoretically dis-ease can be avoided altogether (Aura healers). Another plus for vibrational healing is that it seems to have no negative side effects. It does, however, tend to produce more smiles, more energy, and an overall feeling of wellbeing. Most vibrational medicine techniques are complementary to one another and to traditional medicine. Healing is a fascinating process which is generally very poorly understood. Although it may be tempting to believe that we can heal other people, it is of utmost importance to realize that all healing is self-healing. The body has an extraordinary intelligence and ability to heal itself. Given the right energetic, emotional, nutritional, and spiritual environments, the natural state of the body is perfect health. A definition of a healer is someone who was sick and got well; a great healer is someone who was very sick and got well quickly. The ability to help others heal is an inherent part of people’s essential nature. We all have the ability to be healing practitioners if we have a strong desire to help others. There is immense joy and satisfaction in knowing that you can assist others in their healing process.